Villages are being razed in northern China. Mountains are being cut to size. And new stadiums, high-speed train lines, expressways and three separate Olympic villages are coming to life. 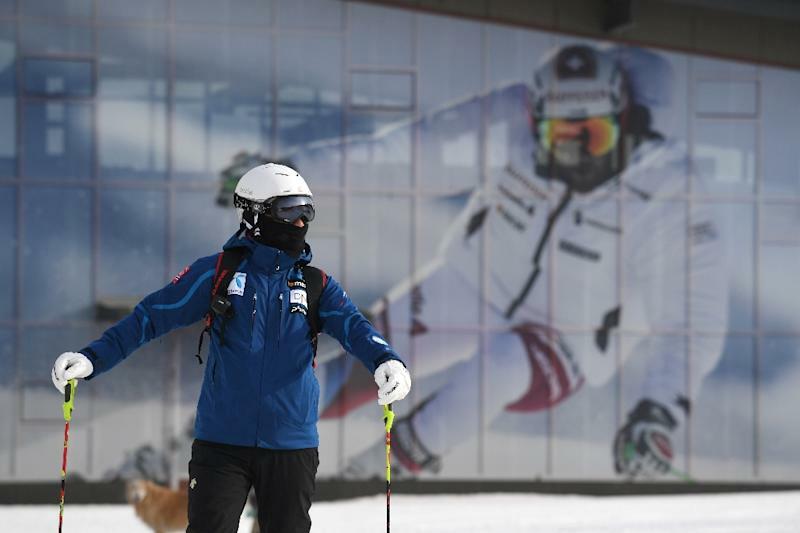 With the Pyeongchang Games in South Korea having wrapped up on Sunday, the focus turns to Beijing as China spends big to host its first Winter Olympics in 2022. Still four years out, the tab for the Games has ticked upwards, with outlays appearing to eclipse the budget in Beijing's winning bid by at least half a billion dollars, according to an AFP review of government requests for the massive project. Beijing won the Games for its willingness to spend. For the 2008 Summer Olympics the nation poured in an estimated $40 billion. That event amounted to a stunning coming out party for the rising giant -- but afterwards many of the venues sat empty. Beijing has pledged this time will be different, with officials drumming up sustainable development and post-Olympics plans for the heap of new facilities. But in Chongli, where snowboard and ski events like the halfpipe will run, thousands of farmers are being pushed from their land. 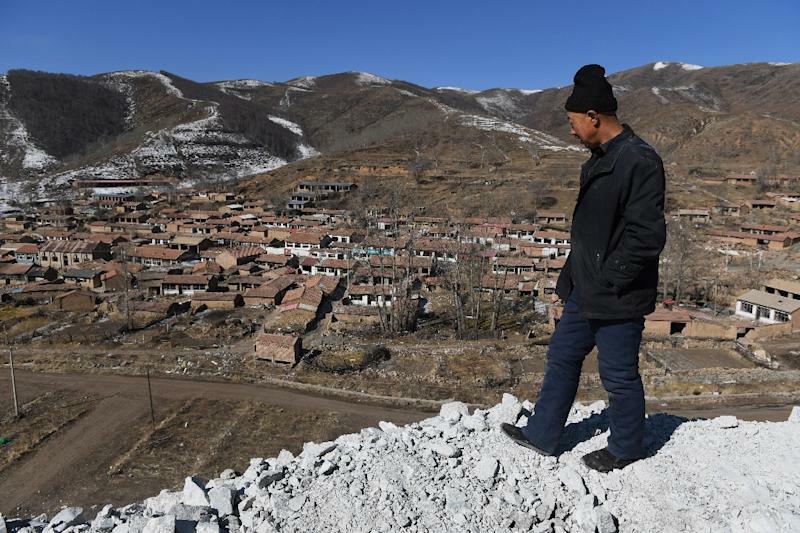 In Taizicheng village, the site of a planned Olympic village, mammoth train station and snow town, only soil remains where villagers' homes once stood. Up the valley, the brick and red-tiled roof homes of Qipanliang village where 300 families once lived were abandoned earlier this year and are set to be demolished. A new expressway and high-speed train for whisking athletes to events will cut through the area. Ying Gui, 64, and his family of five are among the few remaining villagers. "We will leave once we sell all this," said his daughter-in-law, waving at the candies, rice wine and gloves packed onto the shelves of their home, which doubles as the village store. "We will have no home, no land for crops, nothing at all left," she said, adding however that she was satisfied with the compensation offered by the government. Ying is not sure what he will do. He sold his 40 cows and harvested his last crop of potatoes and purple cabbage. "I'm a farmer," he said. "I don't know what to think." For now Ying often wanders up the mountain where workers are burrowing tunnels for the train and expressway. He can sell scrap metal he finds at the construction site for a couple of cents a pound. Extra budget requests, on top of $1.5 billion allocated in China's bid for the Games, show Beijing is once again pulling out all the stops to put on a flawless Winter Olympics. The rural corridor north of the city is turning into ski fields, stadiums and housing. Millions have been budgeted just to bring water to the area and build artificial snow blowers. "It's 100 percent man-made snow," said a snowcat driver as he groomed the nearby Genting ski resort, which will hold some events. China's new national sliding centre (for bobsledding and luge) will run to at least $257 million. 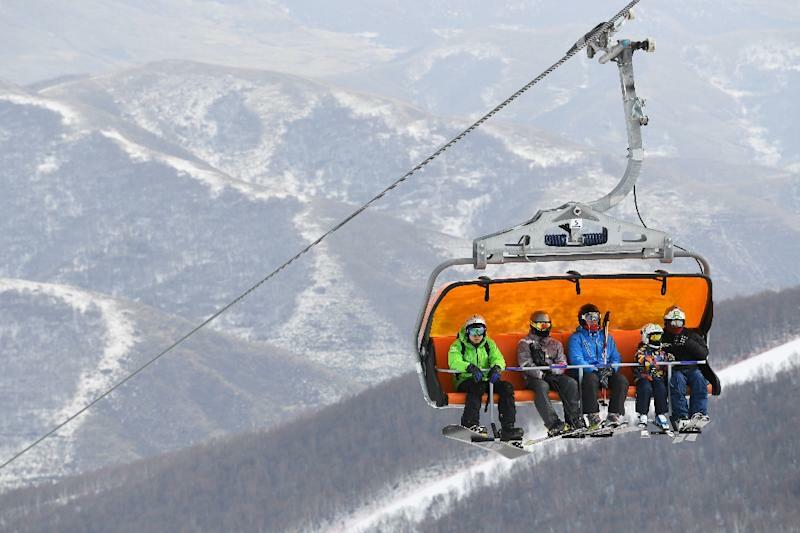 The national alpine ski centre for ski racing will cost $311 million. A Nordic centre with ski jumping is estimated at $246 million. Even projects to rehabilitate land scarred by mining that tourists might see out the window as they hurtle north from Beijing are under way. When summed together, earmarked costs for a portion of the Olympic projects already exceeds $2 billion, according to the estimates in bid requests reviewed by AFP. That vast sum does not include the billions needed for the high-speed rail line or expressways to link together the three different Olympic zones, or compensate displaced farmers like Ying. Ballooning costs for host cities shelved plans to host the 2022 Games in a slew of European cities, and have been the focus of reforms under way at the International Olympic Committee. The Beijing Games may not be an example of thriftiness for other nations to emulate. Heavy private financing described in its bid has given way to funding from government and state-owned enterprises, the bid requests show. The heavy costs figure little into the discussion in China, where state media continues to paint the upcoming Games with an adoring glow. In December, Beijing unveiled the emblems for the event in a star-studded ceremony featuring actor Jackie Chan and pianist Lang Lang. "For winter sports enthusiasts like me, I'm a supporter of the government's investment," said Lu Shan, a Beijing snowboarder sipping tea in a Genting ski lodge. "Perhaps it's not economically worth it to build this rail project, but the government has ample cash." Ying's family too said they did not mind giving up their land. "We're happy to give it to the nation," said his daughter-in-law. But they had no plans to hit the fake snow. "No one from here can ski, they come from Beijing," she said.